The Eureka City Council will vote Tuesday on whether to allow food trucks or "mobile vendors" to operate in specifically zoned sections of the city, potentially pass a storage of personal property ordinance and (probably) grant two more contracts to the Mercer Fraser Co. 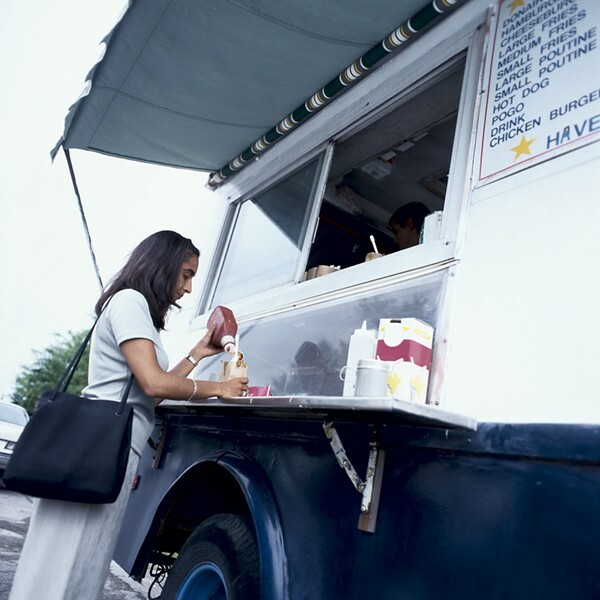 The mobile vendors ordinance, which was discussed at length July 5, updates several portions of the current municipal code related to coastal zoning and zoning regulations to allow food trucks in almost all sectors of the city, provided the operators have been deemed to "not be a threat to public safety." On July 5, the council decided to modify the bill slightly, adding language that would except vendors from requiring council approval to vend on city property during special events. The council will also discuss whether or not to pass an ordinance governing the storage of personal property on city land. 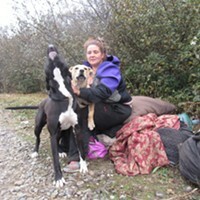 City Clerk Pam Powell said this ordinance was brought forward after continuing "property issues" in the area of the recent temporary homeless sleeping area on Del Norte Street. A similar ordinance was introduced in September of 2015, but was ultimately tabled after protest. Instead, in October, the council passed the Open Space Property Management Plan, which restricted use of building materials in what was then the city's largest homeless encampment, at the PalCo Marsh. The ordinance, as currently written, includes language mandating that the city inform people that their personal property will be removed from city land, allows the city to impound property if it is not removed within 24 hours and requires the storage of personal property for 90 days. There are some exclusions to these obligations, such as items that are deemed hazardous or pertinent to a crime investigation. The ordinance also states that failure to remove property within 24 hours is a crime, and that a person can reclaim their belongings at the Eureka Police Department after establishing proof of ownership, defined as describing the property and where it was located. Photo identification will not be required. In the language of the ordinance, storage of personal property in public areas is referred to as a "public health or safety hazard that adversely affects residential and commercial areas." 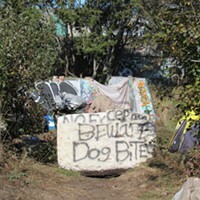 Currently the city's Parks and Recreation Department, with the occasional help of the Sheriff's Work Alternative Program, is responsible for cleaning up city land that has been used as a temporary location for homeless people to sleep. According to the department's director, Miles Slattery, a 6-yard dumpster placed at those locations is being emptied on a weekly basis, and yesterday, when people were moved from the foot of Del Norte Street to a parking lot on Koster Street, staff filled an additional two 40-yard dumpsters. Slattery said the ordinance would give EPD an extra tool " for them to not allow that kind of accumulation to occur in the first place." He also said the population at the sites has increased in the last few months, from around 30 people camping to closer to 50. The council's consent calendar Tuesday also includes declaring Mercer Fraser Co. the low bidder on two contracts, a pipeline project with a $2.5 million award and maintenance paving project worth $175,521. Mercer Fraser also recently won the bid to build the Eureka Waterfront Trail through the PalCo Marsh, where many of those camping on Koster Street formerly stayed.